Spectacular custom designed home by Rowayton's renowned Architect, Roger Bartels (for himself in 1999) includes a waterfront parcel with a dock on tidal Farm Creek Inlet. Water views from most rooms. Unique features: Antique French Limestone, wide board maple floors, beautiful hand forged railings, French doors to a large deck for entertaining and a Juliet balcony off the master bedroom. Both a gas and wood fireplace add to the soft and soothing ambiance of this stunning home. Included is private Pine Point Association beach on Long Island Sound just a 3 minute walk which is great for community events, 4rth of July fireworks, and evening cocktails looking over Long Island Sound. Two car garage and a wonderful family neighborhood. It checks all boxes. Come see., Negotiated thru LA. 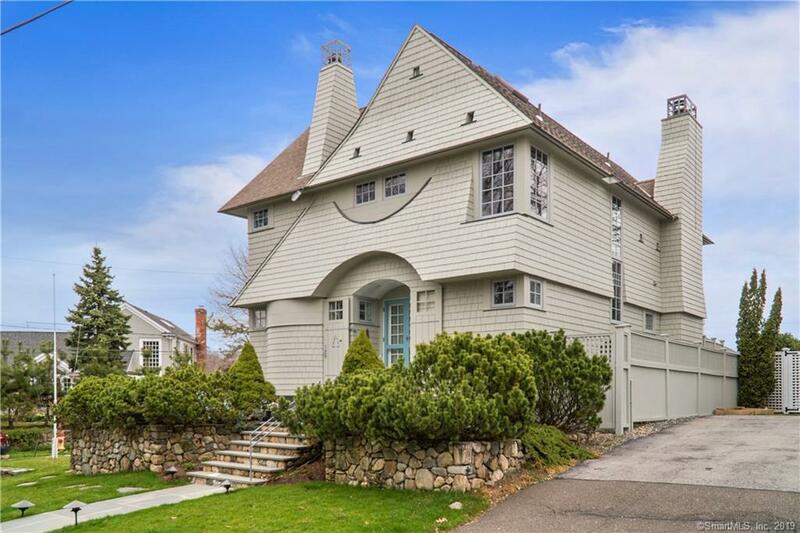 Spectacular Custom Designed Pine Point Association home designed by Roger Bartels. * Waterfront parcel w/dock on Farm Creek's tidal inlet. Taxes reflect the house parcel and a $352 sewer assessment. House is #7 Nearwater and #14 is the deeded waterfront lot w dock additional taxes of $2853.44. Custom features include wide board Maple flooring. Hand forged Railings,Includes and is wired for portable generator. More recent improvements include a Tesla charging station, fully painted interior, exterior, and deck, new AC unit, new dishwasher and washing machine, new garbage disposal, sprinkler system and a separate house water cut off valve.